I remember the first time I saw LittleBigPlanet and heard about its exciting concept of co-op creation and gameplay. But after several delayed features and a lack of variety in gameplay out of the box, it just didn’t grip me like I hoped it would. LittleBigPlanet 2 is here, hoping to improve on its predecessor in many ways, and after spending hours upon hours with it, we’re ready to issue our verdict. LittleBigPlanet did a great job of creating a platform for its content, gameplay, and style; LittleBigPlanet 2 takes all of that and cranks it up to 11 adding a coat of polish for good measure. Every moment of the game, whether you are spending time in the interface creating worlds, browsing online content for the latest user levels, or playing through the game’s story mode - they all just ooze with style. The story itself is the first place this is incredibly relevant, players are given a clear goal from the beginning of a journey that takes them through incredible looking settings like a Sackbot factory, an insane asylum in a jungle, a futuristic training ground, and a quirky bakery. Each location is filled to the brim with Tim Burton-esque characters and oversized objects that bring the world to life, and each location has its own music that is as catchy as it is weird. 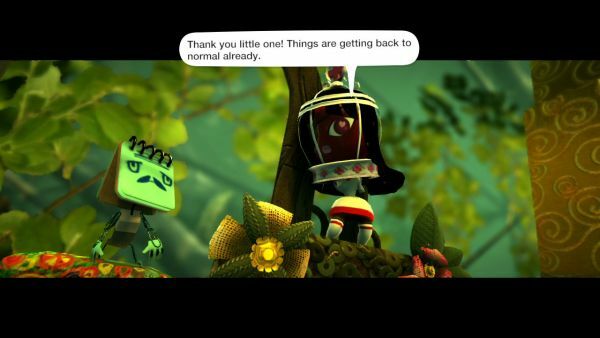 While the first game had a forgettable story mode, LittleBigPlanet 2’s is anything but. Zany characters like a self deprecating notebook, a bubbly cupcake maker, and a psychologist with a bird cage on her head all fill this world and provide the story. Each one has a distinctive voice in both the cutscenes with actual dialogue, and then in a sort of jibber-jabber language during the levels themselves. The aforementioned environments aren’t just for platforming and collecting stickers/objects/outfits for your Sackboy and creations - instead MediaMolecule have mixed up the pacing of the game to show off its content creation tools. The levels themselves can vary greatly - some play like a top down shooter, others are like a racing game, others yet act like the classic game Arkanoid. You’ll find yourself playing basketball, climbing a tree as a caterpillar, and putting out fires with a water cannon. The style of the levels themselves can also be altered, one such level looked like a classic 8-bit side scrolling shooter. There’s a ton of variety here and it doesn’t feel like any of these mini-games are repeated throughout the campaign itself. But it’s not just the mini games that have changed the gameplay, its the way you’ll traverse the platforming levels that have also gotten an upgrade. Tools like the grappling hook change the dynamics of numerous puzzles while the Grabbinator allows you to pick up and chuck objects great distances at enemies. Other levels play out a bit like the classic game Lemmings as you are required to lead an army of Sackbots to specific locations and hopefully saving them from certain peril in the process. 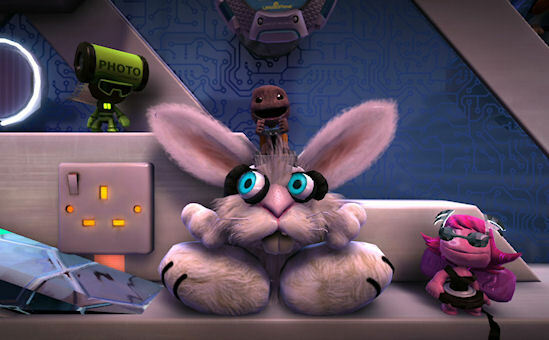 On top of these gadgets are a variety of vehicles like a flying bee that shoots honey, a giant bunny that slams into enemies, and a hamster that rolls and jumps like it overdosed on coffee. Page created in 0.3459 seconds.